Our featured member this week is Zahara Kassam. 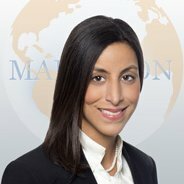 Based in London, Zahara oversees asset management of Marathon Asset Management’s hotel real estate investments in Europe. Prior to joining Marathon, Zahara was a Director in the European Investment Analysis team at InterContinental Hotels Group (IHG) in London, where she structured franchise, management, joint venture and M&A transactions to increase the distribution of IHG’s brands. Zahara commenced her career as a Microfinance Fellow in rural India with the Aga Khan Foundation Canada, before joining Citigroup’s Corporate & Investment Banking Group. Can you describe your journey to where you are today? At the age of 2, my father moved our family from Canada to Orlando, Florida in order to launch his career in hospitality. He quickly advanced from a general manager position to become the owner and operator of his own hotel portfolio. I grew up in and around the business from an early age; I learned my maths with hotel P&Ls and vending machine change, and earned my allowance in high school as a front desk agent, reservations agent, accountant, waiter, housekeeper and engineer. Upon graduating from high school, I couldn’t wait to get away from this business that had consumed my father’s time and energy; I had no desire to follow in his footsteps – or, at least, I didn’t think I did…! That summer, we went on a family vacation to East Africa, which is where my parents were born and raised. While on safari, we stayed at a Serena-branded hotel; owned by the Aga Khan Fund for Economic Development, the Serena Hotels brand was founded to drive economic development in low-income countries via tourism. The AKFED business model is what inspired my decision to major in Economics and Development Studies while at Brown, and to later pursue a career in micro-finance, investment banking and emerging market private equity. Fast forward 10 years; having just graduated from Harvard Business School, I was in a final-round interview for my “dream job” with the social venture capital fund that had inspired my business school application. In that interview, they casually mentioned that they were selling off their hotel real estate portfolio. In an instant, it dawned on me that what had excited me all along about the AKFED model was Serena Hotels, and actually, I did kind of want to follow in my father’s footsteps! Rather than working on property like my father, I spent three years at InterContinental Hotels Group’s headquarters in the UK, where I developed valuable experience in the world of hotel franchising and hotel brands. From there, I was brought in by Marathon Asset Management to oversee the fund’s newly acquired hotel portfolio. We doubled that portfolio in size last year; I now have responsibility for 20 properties across the UK, and work collaboratively with our hotel management company to drive above-market returns for Marathon’s investors. Why did you decide to attend business school? What was the most valuable lesson you learned there? I applied to business school because I didn’t want to be a financial analyst forever, and I wanted to prepare myself for that transition from great analyst/technical expert to inspirational manager/leader. At the time, I had a manager who had been promoted quickly into a leadership role because she was technically competent, but she wasn’t prepared or interested in a managerial or leadership role. I didn’t want to let my employees down in the same way I felt let down by her. The most valuable lesson I learned at HBS is that great leadership is 20% about technical mastery, and the rest of it comes down to emotional intelligence. Our professors joked that in 15 years, it would be the C students leading the A students; while a strong IQ can generate the greatest business plan in the world, it’s your EQ that enables you to motivate, inspire and lead a team to successfully execute on that business plan. What has helped you achieve the level professional success you have today? Hard work, collaboration and passion. My parents immigrated from Kenya/Tanzania to give their children a better life in the US, and their perseverance in delivering on that dream has always been my primary inspiration. I am rarely the smartest person in the room, but I am often the hardest worker, an ethic I inherited from my parents. I grew up in a close, supportive family that centred around our “mom and pop” business; we all pitched in to make the business a success. I also grew up with a twin sister; while we sometimes got competitive with each other, for the most part we collaborated on everything from homework to free throw shot practice to interview prep. So today, in my career, my leadership style is collaborative and team-oriented; at IHG, I found success by developing strong cross-functional and cross-regional relationships, and in my current role, I have strived to establish a collaborative culture with our hotel management company. Last but not least, I love what I do. Hotels and hospitality are in my blood, and my passion enables me to endure all sorts of obstacles and setbacks. Even when doing the most mundane tasks, I love my job. I think that has been a big key to any success I appear to have achieved. Passion is a powerful motivator. Why did you want to join Muppies? How have you benefited from your Muppies membership? I grew up as the only Muslim in my Baptist Christian school, which was tough. Perhaps for this reason, I tend to be quite conscious that I am usually the only female Muslim woman in my company, in the boardroom, at that industry conference, etc. It is true that finance (and hospitality) is still very much an “old boys club,” so I have actively sought out (female and minority) mentors who have overcome similar challenges to the ones I face every day. The Muppies network is a great place to look for mentorship in this regard; the professionals in this group inspire me to succeed not only in my career but also in my community; more importantly, I love mentoring others, and would hope to be an inspiration to other women in the Muppies network who are contemplating business school or a career in real estate.